FIFA 2018 Host Cities. What to do in Kaliningrad? Kaliningrad is a unique place on the Russian map. Located separately from the mainland of Russia, the city combines Western and Eastern European traditions, architecture and character of the city. It does not matter whether you are a football fan, history enthusiast or both, this city will not leave you disappointed. So what to do in Kaliningrad? The stadium is located in the heart of Kaliningrad on Oktyabrsky Island. Previously undeveloped, the island has been renovated especially for the World Cup 2018. It now acts as a beautiful recreational centre full of parks and boasting magnificent embankments alongside the Pregola river. How to get to the stadium? Take trolleybus 1 or 5 and get off at Konigsberg Cathedral, the stadium will be a 20-minute walk from there. As soon as building works are completed, more convenient connections may become available. During the tournament, Kaliningrad Stadium will host four first round group matches. After the World Cup the stadium will serve multiple purposes including being a sports centre for young people. The Curonian Spit separates the Curonian Lagoon from the Baltic Sea coast and is a UNESCO World Heritage Site. According to the legend, the island was formed by Neringa, a giantess from Baltic mythology. If you are feeling romantic, this is the place for you. Have a walk along the beach, swim in the sea and enjoy the unique nature of this national park. The lucky visitors will have a chance to meet the wild deer living in the area. Travelling with children? Then the upside-down house has to be on top of your to-do list! Located in a small amusement park of Kaliningrad, this place is a fun family experience for all. Walk over the ceiling and take exclusive pictures touching furniture hanging from the floor above your head. While some people may get dizzy from this head-whirling experience the upside-down house is the centre of family fun. 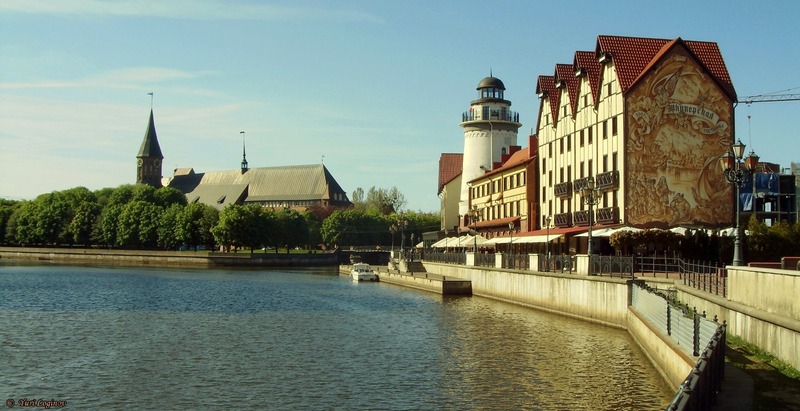 For those keen on history and philosophy, Kaliningrad is a very special place. The city holds the heritage of one of the greatest philosophers in history; Immanuel Kant, who was born and buried in Kalinigrad. During his life, Kant hardly ever travelled more than 50 miles away from his birthplace of Konigsberg (another name of Kaliningrad), so it is only fitting that his tomb is located in the heart of the city. Experience the heritage by visiting Kant’s museum and learning more about the life and times of this prominent figure.